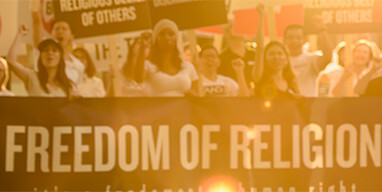 STAND—Scientologists Taking Actions Against Discrimination—has the duty of policing irresponsible media so that the good names of the Church of Scientology and its principals, as well as all religions, are not sullied by lies, bigotry and slander. While I appreciate that Vice.com acts as a propaganda machine targeting religions in a true Nazi-like fashion, it may surprise you to know that the religions you malign—Christianity, Jehovah’s Witnesses, Orthodox Judaism, Islam, the Church of Jesus Christ of Latter-day Saints and the Church of Scientology have brought peace, calm, succor and understanding to hundreds of millions of followers and nonbelievers. Religious bigotry of any kind has no place in our society. I respect your publication’s right to freedom of speech. There is a Code of Ethics published by the Society of Professional Journalists, please adhere to it. I recommend you take a look at Scientology.tv to find out for yourself what this religion really is, not just to Scientologists but to others in society.